I didn't feel like cooking and I've been ordering out way to much. So tonight I'm just having tuna salad in a lettuce wrap. A few slices of pizza I had for dinner. 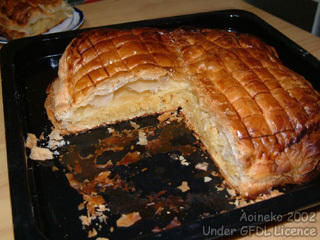 poolerboy0077 wrote: I’ll tell you what I’m not eating: King’s Cake. My local bakery ran out and I don’t trust others to make it as good. Mmm. It’s like a diabetes explosion. I'll have to look for it the next time I'm in the deep south. Actually I will be doing a trip there in a bit. Two stops, one in Tennessee and the other in South Carolina. I bought a salad for lunch and it was really good! I think I sometimes overlook the importance of salads and how nice they can actually be. Salads can be yummy, but I still feel like I haven't really eaten if there is no meat ont he plate! Silly i know. I'm going to be working on overcoming that particular thought process though, I'm not going veggie (will never happen) but I do want to have more salads and veg in general. A double cheesy gordita crunch from Taco Bell, my favorite! Three meat piazza. One of my favorites. I sure hope you put it on bread on it would be messy! Toast actually. So a BLTMC on T.
Victor_Laszlo wrote: Toast actually. So a BLTMC on T.
Love eating them myself, had one for lunch today as they are so good! Seasame chicken and veggie fried rice. Barf! XD. Man the cola crap is bad for you as it is, then add that Cherry favor that makes it taste like it's even more sugar you're ingesting. Yummy?!?!?!???!??? Cranberry Orange Muffins. Well will be shortly as they are still in the oven. They are just so yummy. But of course my muffins are yummy. I don't drink much soda at all. When I lived with my parents it was all they ever drank. Once I moved probably went a year or two without even a sip. I remember the first time trying it again. Felt like drinking acid. Lol. Now once in awhile I'll get one from the vending machine. Gonna have a bacon egg and cheese at break. Victor_Laszlo wrote: I don't drink much soda at all. When I lived with my parents it was all they ever drank. Once I moved probably went a year or two without even a sip. You may be like me as it's the carbonation I actually like. Settles me and my stomach. Try mineral water. I prefer mine with a little lime. My ex drinks pepsi non-stop morning to night. It goes along with the full bag of potato chips quite well apparently. I wonder when she will be forced to use those motorized carts at stores because she won't be able to carry the weight anymore. Pretty damn sure it will get blamed on me and arthritis. Certainly anything but her own inability to see it as a severe problem of her own that she needs to deal with. In that nothing will change for her. Like much of the rest of her life. BTW, I assumed you don't drink much of it. A BLT sandwich on toast.